2Take the tour. Block out an hour to sit down and take the tour and preview your page. I would print out a copy of this useful guide published by Facebook that summarizes the feature changes. Go through the tour and take notes. See if your old profile image works with the new format. You might also want to check out how some brands have already implemented the changes. Mashable has this post on preparing for your new page. 3Bye bye default landing tabs. You’ll also notice that the landing tabs have now disappeared. This is a change that some nonprofits do not like. But there is a new feature called “pinned posts,” which are posts that remain at the top of your Timeline. Think of these pinned posts as your old landing tab. A pinned post stays at the top for only seven days. So this is where you’ll have to figure what your weekly call to action is. Looks like the emphasis is squarely on engagement vs. getting new likes. 4Profile and cover images. Many nonprofits may not have the graphic designer resources and will needed to take a DIY approach, while others will need to provide their designers with nitty gritty information like image size for the cover image. Here’s a quick cheat sheet. Also keep in mind that there are some important rules around the cover image about what information you can or can’t include. 5Administrative dashboard. 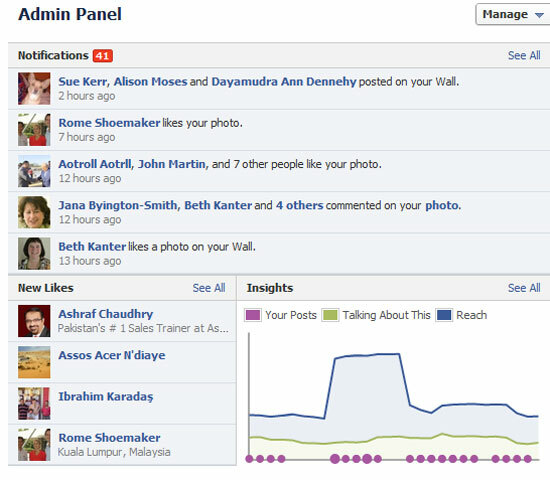 Facebook has given us a nice administrative dashboard that lets us see our metrics and fan activity in an easy-to-scan screen. If you aren’t measuring how your content is engaging and resonating with your fans as part of your content strategy decision-making, hop to it. Here are some tips and ideas to get you started. Remember, to get the best results you need both real-time and trend data. 6Private messaging to administrators. 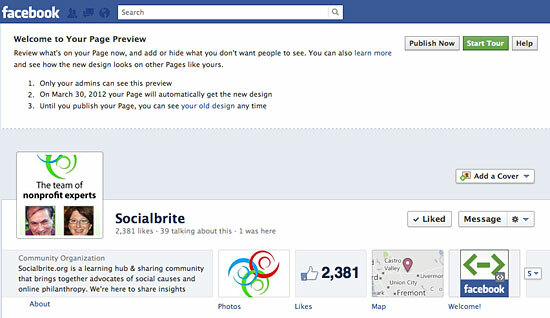 Your page administrators will be able to communicate privately with fans using the page identity. 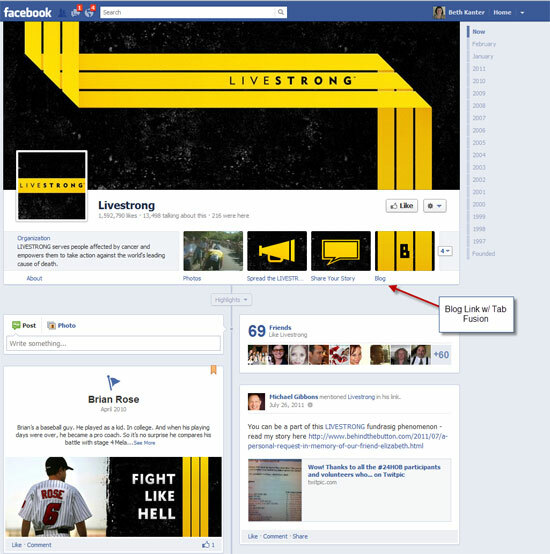 This will make it easier for a team approach to managing your fan page community. It will be good think through how you will handle and manage private communications with fans. 7Prepare for your launch. Plan out how you want to launch your brand to your fans. What are you going to say about it? How are you going to get the word out on your page and other channels. I put together a small pinboard of the resources in this post to help you plan for the change this week.